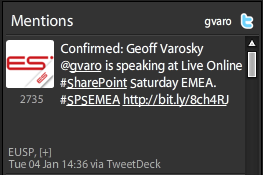 Found out a few moments ago that I am officially slated to present at SharePoint Saturday EMEA. What is SharePoint Saturday EMEA? Where can I find more information on SPS EMEA?